Kristin Sakoda is Executive Director of the Los Angeles County Arts Commission, which provides leadership in cultural services for the County’s 88 municipalities and nearly 140 unincorporated areas. A creative professional with over 20 years of experience in the cultural field, Ms. Sakoda is an arts executive, attorney, and artist who most recently served as Deputy Commissioner & General Counsel at the New York City Department of Cultural Affairs (DCLA). As the largest municipal arts funder in the U.S.,DCLA provides grants and technical assistance to a full spectrum of 900+ cultural organizations large and small, has a staff of 65+ employees, and an annual budget of $180M+ in City expense dollars. In her role at DCLA, Kristin’s portfolio included a wide range of strategic, programmatic, legislative, and policy initiatives affecting the NYC cultural sector. She provided strategic direction for activities relating to the City’s role in culture, from capital projects at cultural facilities, to public art, diversity and inclusion, and affordable workspace for artists. She worked closely with City agencies and cultural and philanthropic partners to advance agency objectives and special projects, and public-facing engagements. 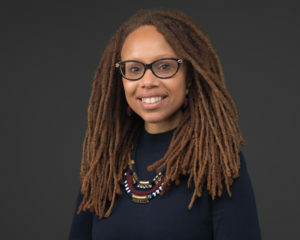 She also served as chief legal officer of the agency, with a diverse legal practice of intellectual property, nonprofit governance, contracts, real estate, freedom of information law, and NYC regulatory structure. In her tenure, Ms. Sakoda helped to lead the DCLA’s diversity, equity and inclusion initiative, worked on CreateNYC, a first-of-its-kind cultural plan for New York City, spearheaded the creation of SPARC (now SU-CASA) the nation’s largest creative aging program, drafted and negotiated signature legislation enhancing Percent for Art for the first time since its inception. She also had the pleasure of serving as Chief Executive Officer of the Theater Subdistrict Council, awarding grants to cultivate a diverse pipeline for the Broadway theater field. In addition to her work as an arts administrator and attorney, Ms. Sakoda has a lifelong arts practice and professional career in dance, music, theater, and songwriting. A Broadway veteran, she has performed on stages across the U.S. and internationally, with credits including the Urban Bush Women and Robert Moses’ Kin dance companies, and the hit musicals Rent (National Tour), and Mamma Mia! (Original Broadway Cast). These experiences inform her work of sustaining artists, arts organizations, audiences, and the cultural community. Ms. Sakoda holds a J.D. from NYU School of Law, where she received the Jack J. Katz Memorial Award for Excellence in Entertainment Law, and a B.A. from Stanford University in American Studies, with a specialization in Race and Ethnicity, and a secondary major in Feminist Studies. Originally from Chicago, Ms. Sakoda resides in Los Angeles County with her husband and daughter.